With the help of Doctor Strange and the Avengers, Spider-Woman is able to return to her body, but without any superpowers. Spider-Man encounters the Arranger, the Kingpin's hiring agent and later competitor. J. Jonah Jameson marries Marla Madison. When Spider-Man reveals his secret identity as Peter Parker to the Black Cat, she disappoints him by preferring his masked identity. The Black Cat makes a deal with the Kingpin to obtain her own super-powers. Odin lifts Thor's enchanted identity as Donald Blake, while Lady Sif joins Beta Ray Bill on a quest. When Kitty Pryde is kidnapped by the Morlocks, the power-canceling mutant, Leech, appears. 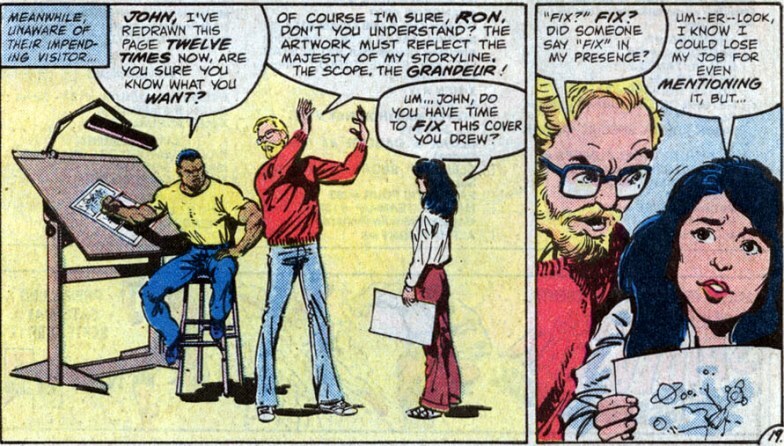 Kitty Pryde meets the mutant communications expert Doug Ramsey (later Cypher). Colossus' now mystically-powered sister Illyana joins the New Mutants as Magik. A being calling itself the Beyonder pits heroes (the Avengers, the Fantastic Four, the X-Men, Spider-Man, the Hulk) and villains (Galactus, Doctor Doom, the Absorbing Man, the Molecule Man, etc...) against each other on an artificial planet ("Battleworld"). Doom creates the super-villains Titania and Volcana. A new Spider-Woman, based out of Denver, surfaces. Spider-Man gets a new "black" costume (also known as the "symbiote costume"). 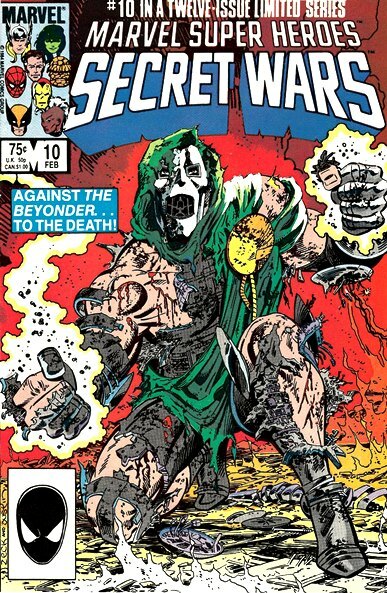 Doom and the Beyonder vanish during their final battle. The Molecule Man transports the villains off Battleworld, while Reed Richards sends the heroes back to Earth using alien technology. Ben Grimm stays behind on Battleworld and She-Hulk takes his place in the Fantastic Four. Susan Richards suffers a miscarriage due to radiation complications. The Inhumans' leader, Black Bolt, marries Medusa. Wyatt Wingfoot meets She-Hulk for the first time and decides to spend more time with the Fantastic Four. Johnny Storm begins spending more time with Alicia Masters. 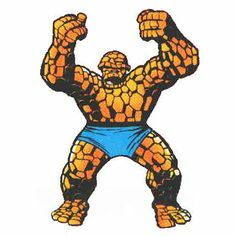 The FF defeat the giant alien conqueror, Terminus. On an alternate Earth, Reed finds his long-missing father, Nathaniel Richards. Rama-Tut is revealed to be a descendent of Reed's father. The sorcerer (female) Dire Wraiths attack the science (male) Dire Wraiths in a Wraith civil war. Dire Wraiths are revealed to be related to the Skrulls. The Torpedo is killed by the Dire Wraiths. The Wraith War begins as ROM engages SHIELD and the government in his battle against the Dire Wraiths. The space knight Starshine is turned back into the human Brandy Clark. Captain America encounters the Red Skull’s daughter, Mother Superior, and her Sisters of Sin. The Skull seemingly dies from self-administered poison. Due to the influence of Nightmare, Bruce Banner loses control of the Hulk and his savage personality resurfaces. When Banner chooses to eliminate his own personality rather than live inside the Hulk, Dr. Strange exiles the Hulk to a mystic "crossroads" where he begins exploring other dimensional worlds. The New Mutants battle Emma Frost’s mutant students, the Hellions (including Thunderbird (2, later Warpath) and Empath). Rachel Summers appears from the alternate future where mutants are persecuted and killed (by Sentinels). The techno-organic alien, Warlock, joins the New Mutants in order to escape his father, the Magus. Doug Ramsey (later Cypher) uses his mutant communication skills to help. A teleporting mutant rock star, Lila Cheney, takes an interest in Cannonball. The X-Men and the Micronauts ally with Baron Karza to battle Professor Xavier's evil psychic double, the Entity. Guardian (James MacDonald Hudson) is seemingly killed when Alpha Flight is attacked by Omega Flight. Box betrays Omega Flight. A friend of Hudson's, Box, contacts Madison Jeffries, a transmutational mutant who can reshape metal and plastic into his own parts. Wolverine takes guardianship of the Japanese orphan girl Amiko Kobayashi. The X-Men meet Forge, a Native American cyborg mutant with the power to invent mechanical technology. One of his devices is accidentally used to removes Storm's mutant powers. Kitty Pryde changes her codename to Shadowcat while in Japan with Wolverine. Storm leaves the X-Men to return to Africa. Nightcrawler visits Crystalium by accident. Spider-Man encounters a gangster named the Rose (later revealed to be the son of the Kingpin). Spider-Man is stalked by Puma, an American Indian global CEO and hunter/assassin. Peter learns that his new black costume is actually a living symbiote. Mary Jane Watson reveals that she has always known that he is really Spider-Man. Spider-Man returns to his red and blue costume. Hawkeye and his new wife Mockingbird create the West Coast Avengers with Tigra, Wonder Man, and Iron Man (as James Rhodes). Starfox reunites with his long lost relatives, the Eternals. After a battle with Maelstrom, most of the Eternals leave for outer space. Daredevil encounters the savage Micah Synn, who is eventually defeated by modern life in New York City. Tony Stark realizes he needs to gets sober after helping to deliver a drunk woman's baby in the snow. Rhodey (as Iron Man) encounters the new Brothers Grimm. Stark begins creating a new suit, and Rhodey begins resenting him. With the Donald Blake enchantment now removed, Thor takes a new identity as Sigurd Jarlson. Thor battles Malekith the Accursed who unleashes the Casket of Ancient Winters. Surtur and his army of fire-demons escape from Muspelheim and attack Asgard through Earth. (Hercules rejoins the Avengers and they help Thor fight Surtur's fire-demons). Odin and Surtur disappear into Muspelheim while battling to the death. The mysterious Cloud abandons the Secret Empire to join the Defenders. Four pre-teen children (from the Power family) gain their powers from a dying Kymellian horse-alien and name themselves Power Pack. They repel the invading Snarks (Z'nrx). Ka-Zar and Shanna encounter the Nuwali, the alien original creators of the Savage Land. The Micronauts engage in final battle with Baron Karza, who has destroyed all of Homeworld. Marionette kills Baron Karza. The Jack of Hearts learns that he is half-alien and leaves Earth. Namor the Sub-Mariner is dethroned, but Atlantis is admitted to the United Nations. Hi Ed, just found this blog. Look forward to following it and going through your archives! Haha, no, I'm just kind of taking a break and working on one of my other blogs right now. I have a stack of the remaining 1985 comics I need to read to finish that year, but it's just not an inspiring stack (ROM, Defenders, New Mutants, Micronauts...). But I'll get around to em. Thanks! Just letting you know that I've finished going through all your archives now and well done for putting it all together. Look forward to the next ( and all subsequent ) post(s)! Cheers, Ed. Good luck when it comes to sorting THAT one out! I think it is supposed to end with Earth 616 and the Ultimate Earth being combined into one!? 1985 is now up... it may be awhile before 1986, we'll see. No worries, Ed. I won't miss any future posts. Thanks for taking the time to document it all for geeks like me. I'm quite familiar with 60's/70's/80's, but after they disappeared from our newsagents, it was all a mix-up to me. Would you believe they have just released "SPIDER-GWEN" #1 ?!?! I know, Bucky, Gwen, who's next? Uncle Ben? Realistic continuity really ended for me when "Jean Grey" came back from the dead. Then Elektra coming back really put the nail in the coffin.